United's prospects looked as bleak as the weather in the opening ten minutes as Celtic opened strongly. In the very first minute, a Falconer header from McStay's cross was deflected inches past the far post. Three minutes later Kelham O'Hanlon misjudged a Byrne cross and bounced into the roof of the net. Fortunately, Falconer was adjudged to have fouled the United keeper and the goal was disallowed. But United's luck didn't hold good five minutes later when Brian Welsh cleared the ball from the on-coming Paul McStay, but the ball bounced off the Celtic midfielder and into the path of Byrne who crossed and John Collins stretched out a leg to steer the ball home from six yards. The Tangerines, however, weren't long in redressing the balance. Five minutes later, Maurice Malpas on the left touchline swept over a cross and Craig Brewster headed towards the far corner. Marshall got both hands to the ball, but couldn't keep it out. 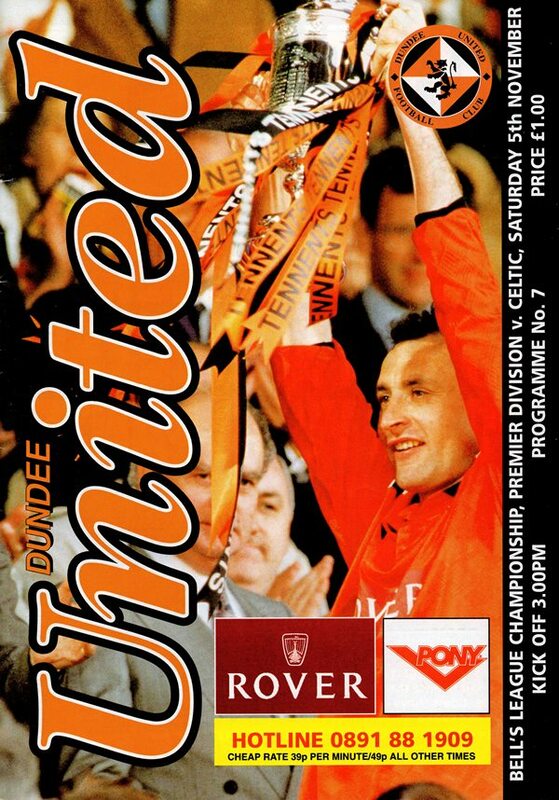 Encouraged by that quick equaliser, United began to dominate proceedings and only a flying save by Gordon Marshall kept out Gordan Petric's header from a Billy McKinlay corner after 20 minutes. Eight minutes later some sloppy defending let Celtic get their noses back in front. The Tannadice rearguard parted like the red seas in the face of a surge forward by John Collins who picked his spot from the edge of the box with his right foot! Towards the break United rallied, but posed no serious threat to Marshall. Ten minutes into the second half. 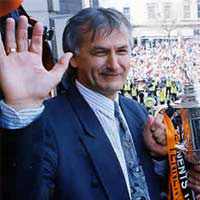 Jerren Nixon replaced Andy McLaren. The winger looked to have brought the Tangerines level when he wriggled clear of the defence and rounded Marshall and knocked the ball towards the empty net, but there wasn't enough power in his shot and Boyd got back to clear off the line. But with United well on top in the second half, it came as no surprise when United drew level 19 minutes from the end. O'Neil only cleared Jerren Nixon's cross as far as Maurice Malpas and he headed it back into the middle from where Christian Dailly rose I to head down and past Marshall. 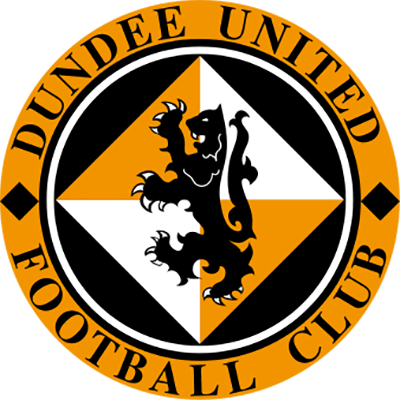 On the second half performance, it was no more than United deserved and Jerren Nixon almost grabbed a winner when he squeezed his way past the Celtic defence, but was thwarted by Boyd near to goal. Golac commented, "The boys showed a lot of character in the way in which they twice came back to equalise"
After the encouragement of a clean sheet against Hlbs in our last home outing, we contributed significantly to our own downfall at Pittodrie. The first goal certainly had nothing to do with any effort on the part of our opponents and the second goal was almost equally as bad a one to lose. Events in the second half were indicative of how luck is running against us. Christian Dailly's header on other days would have gone in and would have led to a very different game as that would have brought us back into the game at 2-1. I feel genuinely sorry for our supporters just now. They have given us tremendous backing against both Hibs and at Aberdeen last Saturday and whilst there has been no lack of effort from the players, results just haven't been going our way. But every team goes through phases like this. Even the mighty AC Milan are currently in the bottom half of the Italian League! I do believe that all we need is one break for us to turn the corner and start putting together the results which will carry us back up the table and it is at times like this that we need your support most. It is easy when things are going well, you don't need the same level of support to lift the side and I fully understand how our supporters must feet just now and all I would ask is that they continue to support us they have in those last couple of games, so that we work together to quickly reverse the downward trend in United's fortunes. Of course, we could do with a couple of fresh faces, but it must be remembered that we have been without over half our strikeforce whilst Craig Brewster, Paddy Connolly and Scott Crabbe have all been injured. With that trio coming back at varying intervals over the next few weeks, I am confident the goals will come. Whilst we have created enough chances, the problem has been that we have failed to take them and a little bit more concentration in and around the box is required because in Craig Brewster, Paddy Connolly, Scott Crabbe and Dragutin Ristic, we do have players who can finish. 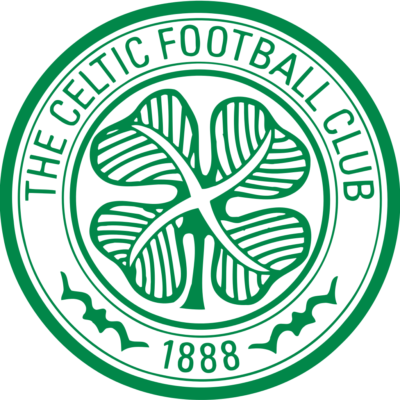 The visit of Celtic is always a big occasion and although recent results in the league have disappointed, they have had a good start to the season under Tommy Burns. Certainly our boys won't need to be motivated for what are always good games and hopefully, we'll get that stroke of luck which Celtic have had to narrowly defeat us in the two Hampden meetings earlier in the current campaign.